The End of Life Partnership were delighted to receive a donation of £5,000 from Orbitas, a wholly owned company of Cheshire East Council who carry out bereavement and handyperson services on their behalf. 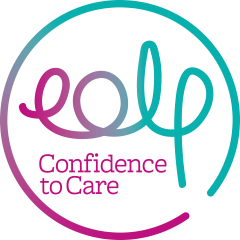 The End of Life Partnership will use the donation to work with local communities and professionals to support them to achieve good quality bereavement care. Orbitas support elderly, disabled and vulnerable people in the community with a range of home repair and improvement services as well as managing the Council’s Crematoria and cemeteries. Raising funds from re-cycling allows Orbitas to donate to local charities who provide help and support for people who are bereaved. 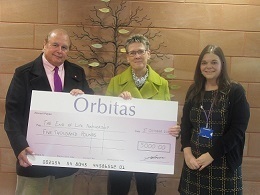 Salli Jeynes, CEO, The End of Life Partnership added “Many thanks to Orbitas, we are thrilled to receive this donation. The money will be used to help us continue our work with local communities and care staff to help families cope with bereavement, grief and loss”. More information on Orbitas can be found at www.orbitas.co.uk.